Hi there, this is the homepage for Confection, we’re a duo from Sydney, Australia who make boogie/funk/pop/soul/disco records. Or you could call it sweetfunk. Confection are Juanita Tippins who sings and Josh Beagley who does the music. Our new album is called Private Conversations and it is released Worldwide on One Stop Funk Shop on July 20, 2012. 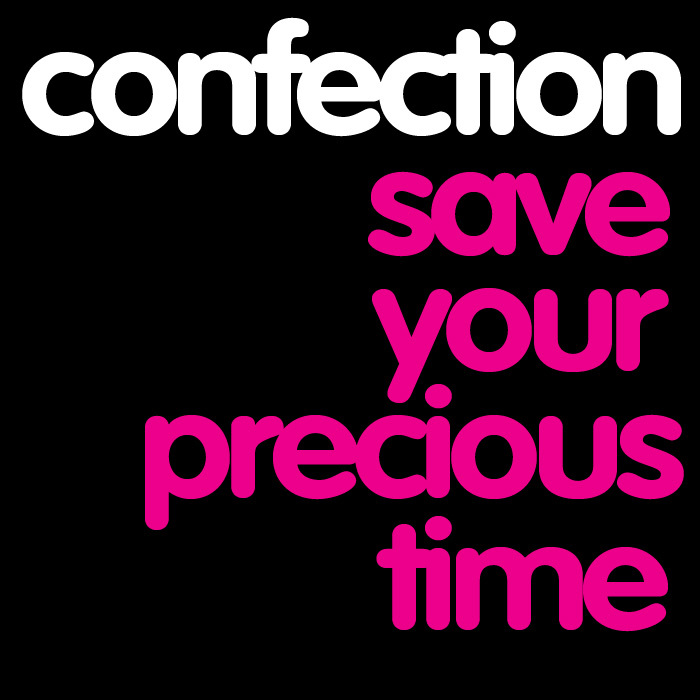 Our first album “Confection” came out at the end of 2007 with tracks like “Fantasisin'”, “I’ve Gotta Thing (4U)”, “I Choose U,” and “You Got The Love” and lots of people in the boogie soul world seemed to like it. Our new single and video is called Perfect Day and will be released with some remixes at the end of July. You guys are Killing me, I LOVE your album to bits! YOU GOT THE LOVE is to die for!!!!!!!! “After listening to “Fantasisin'” I don’t miss Jam & Lewis any longer. “I just wanted to drop you a line and say that I absolutely LOVE “I Choose U”. What an amazing Soul song. Reminds me of the best of Meli’sa Morgan “Fools Paradise” or even the best of Melba Moore, during her later years on Capitol. Great all around and rest assure, will be in my rotation in the coming months on the TX Soul scene. “Hello, just wanted to drop you a line to say that your music is AMAZING, I’ve been a huge fan of 80’s funk/boogie for years and you guys have the sound on LOCK (not an easy thing to do!). I live and breathe 80s funk. I heard the song “i choose you” playing on the radio. I had to know more about this song so i researched it on the internet which led me to this amazing group Confection. I cannot believe the amazing sound this group produces. They have nailed that 80s funk sound, and to think that they are from my country, Australia. Wow i am now a huge fan!!! Keep up the great work guys. The sounds, synthz and vocals are to die for.. Takes me back in time to the sounds of “Attitude, The Whispers, Freeeze. Great great and greatness, keep it up! !